Applications for the 2020 Artist Residency Program are open from March 5 – May 13, 2019. 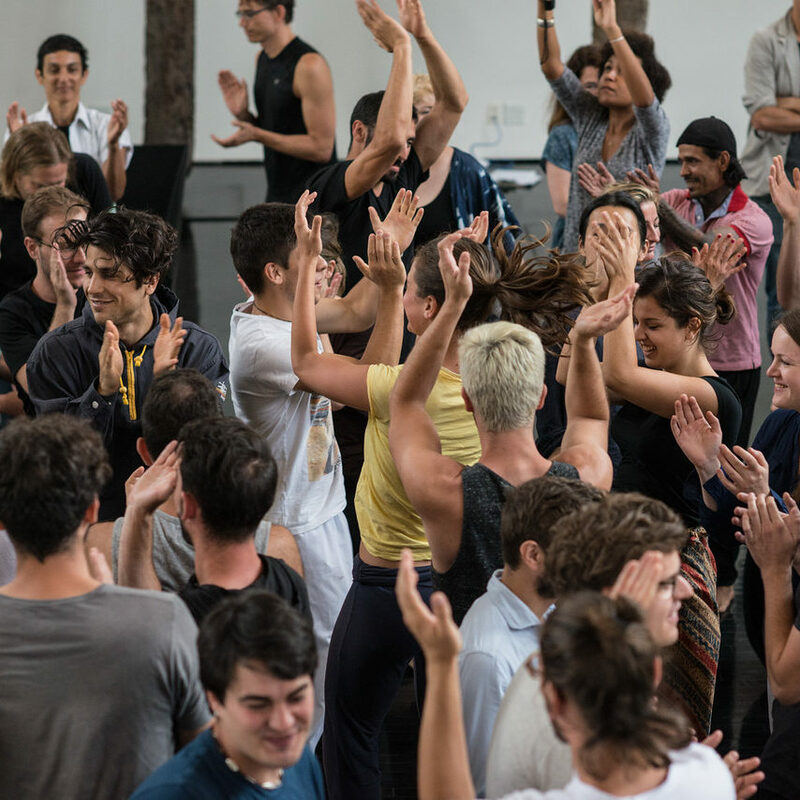 Applications for the 2019 Watermill Center International Summer Program are now closed. Applications for the 2020 Summer Program open December, 2020. View our info packet here! Applications are accepted through the online portal, SlideRoom at https://watermillcenter.slideroom.com – We do not accept application submissions outside of SlideRoom. SlideRoom will lead you through the various required questions, attachments, and media uploads (work samples). There is a $10 USD fee per proposal that covers the cost of the application portal. Payment is accepted on the SlideRoom website. Please don’t wait until the last minute to submit your application. With many applicants waiting until the last minute to submit their applications, there can be technical difficulties on the day of the deadline. We don’t want you to miss the ability to submit your application because of this or any other unforeseen issue. We do not accept late applications. There will be no extension on the deadline. Q: When does the Artist Residency Program occur? Residencies are scheduled by mutual agreement between the accepted Resident Artist and The Watermill Center during January-June and September-December. Residencies can be scheduled for a minimum of two weeks and a maximum of six weeks. Please view the application to get a better sense of exact start and end dates. Q: Is there anything required of Artists-in-Residence? Workshops and other community events are strongly encouraged, but not required. Each artist is encouraged to have an education component to their residency. The Watermill Center staff will work with you to plan and design education programming. Q: How much does it cost to participate in the program? There are no fees for participating in the Artist Residency Program. During the course of the residency, residents are responsible for living expenses such as food, travel to and from Watermill, production expenses such as art materials and supplies, and equipment rentals. Watermill will provide a modest reimbursement to offset these expenses. Additional details will be provided upon acceptance to the program. The Watermill Center provides local transportation, housing, and workspace. If the artist initiates it, The Watermill Center will supply signed letters of support for outside funding and can offer advice for potential funders to underwrite or assist. Q: Can I interact with The Watermill Collection? Yes! The Watermill Collection is available as a source of inspiration and for you to engage with. Artists-in-Residence can re-curate their work space with the objects of their choosing. The collection includes textiles, visual art works, outdoor installations, as well as a large assortment of charis, not all of which are appropriate for sitting. Please consult The Watermill staff before moving or utilizing an object of the Collection. Q: Can I view what’s in The Collection before I arrive? The Watermill Collection is constantly being re-curated as new pieces are added, objects on view are rotated with objects in storage, and as some pieces go on exhibition across the globe; as such, we are unable to provide an accurate list of what will be on view during the course of your residency. We recommend joining us during one of our many year round tours of the Center to get a better idea of The Collection. Q: Are the facilities shared? How many Artists-in-Residence are on site at a given time? The Artist Residency Program is a communal program, there are multiple residencies occurring concurrently, with anywhere from 3-15 artists on site at a given time. It is integral to Watermill’s programming that artists live and work with other Artists-in-Residence.. Educational and community programming is also scheduled throughout residencies. Q: What are the housing accommodations? Housing and bed arrangements vary based on the needs and number of the Artists-in-Residence. The Watermill Center has several different housing situations, including an on-campus dorm and separate living quarters. Most bedrooms are shared (2 beds) and all bathrooms are communal. Artists coming alone will not be expected to share a bedroom. Artists coming with collaborators may be expected to share sleeping quarters. Please indicate any special housing needs on your application. Q: Is The Watermill Center handicap-accessible? The building is generally accessible by wheelchair (with a few exceptions) and the building is equipped with an elevator. The Watermill Center grounds and gardens are not wheelchair friendly and include rough or rocky terrain that can be difficult to navigate. Special arrangements can be made for those with audio/visual impairments, if given advance notice. We advice arranging to visit the space prior to applying. Pets are not allowed at The Watermill Center. We have an on-site cat, Jasmine, who does not welcome other furry friends. Q: Can I bring my family or children? We allow families on a case-by-case basis. Generally, we only allow families where all members are collaborators on the project. Families with children under the age of 10 are not accepted. Q: Is smoking allowed onsite? The Watermill Center building as well as all other indoor spaces associated with the Center are strictly non-smoking. Smoking is allowed outdoors. Please pick up all cigarette butts and dispose of them properly. The Artist Residency Program is a communal program, there are multiple residencies occurring concurrently, with anywhere from 3-15 artists on site at a given time. It is integral to Watermill’s programming that artists live and work with other Artists-in-Residence as well as the local Long Island community. Educational and community programming is also scheduled throughout residencies. Q: What type of transportation is available? The Watermill Center provides Artists-in-Residence with vans to use for local travel. The Watermill Center is located in rural Long Island, and it is highly recommended that an artist or one of their collaborators have a valid license for driving in the United States. Grocery stores, supply shops, and recreational centers such as the beach are not within walking distance from The Center. Taxi services, including Uber and Lyft, are available. Q: What recreational or extracurricular activities are available? The Watermill Center is just a short car ride away from many activities, including the beach, local museums and galleries, as well as many shopping centers. We also have onsite a large library at your disposal, as well as beautiful gardens and outdoor spaces. The Watermill Staff is happy to recommend activities for your down time. Watermill is located within the center of the Hamptons, an area of the United States noted as a summer get-away for the wealthy. As such, prices of everyday items can be more expensive than expected. The Center staff is happy to help you find affordable options for shopping and dining, but we recommend budgeting accordingly. Q: What kind of facilities does Watermill have? The Watermill Center combines performance and rehearsal sites with working and communal living spaces. Its flexible and multi-purpose interiors house formal and informal studio and performance spaces, The Watermill Collection, an The Watermill Study Library, kitchen facilities, and a dormitory. The Center is situated on ten acres of wooded and landscaped grounds in a rural environment. The Center does not provide a traditional theater studio environment. We do not have a lighting grid or a technical staff to assist with rehearsals and construction. The main studio spaces have black-stained hardwood floors, white walls, and many windows. There is no separation between studio and gallery or living and working spaces, and The Watermill Collection is carefully curated throughout The Center. Artists have the unique opportunity to work amongst these museum pieces and to work with The Center staff to recurate their environments. Watermill encourages artists to engage with the collection and architecture, and to explore all facets of The Center, inside and out. Q: Is there a black-box? The Watermill Center does not have a black-box, or any work area without windows. We are able to shutter windows in certain workspaces, but there is often bleed of natural light from other rooms. Q: May I bring my own materials to the residency? Yes. The Watermill Center does not provide materials outside of basic office supplies. Q: Who is responsible for the care of the facilities? The Watermill Center asks that Artists-in-Residence care for their own workspace, and return it to its original condition at the end of their residency. There is a weekly cleaning crew who takes care of general facility tidying, but they will not disturb/enter your workspace, and only focus on communal areas. Please consult a staff member before making any alterations to your space. Q: How is studio space allocated? The Watermill Center Artist Residency Program is a communal experience, and Artists-in-Residence may have to share spaces. The Watermill Center staff makes all efforts to schedule residencies in a manner that reduces the stresses of space-sharing. Q: Can you waive the application fee? No. The $10 fee is required and goes directly to SlideRoom, which collects and stores applications online. The fee does NOT go to The Watermill Center. As such, we are unable to waive the application fee. Q: I don’t have a credit card to pay the application fee, what should I do? Applicants lacking a personal credit card have been able to successfully process the application by asking a friend, family member or colleague to help by using their credit card to make the payment online. You can begin the application immediately without paying any fee. The fee is only due when you complete the application and wish to submit it. Q: My credit card is based on a currency other than US dollars. The SlideRoom portal will accept any major credit card for payment and will convert your local currency into the US dollar equivalent at the time of payment. Q: I would like to upload or link to media (videos or music) that is longer than 3 minutes. We ask applicants to limit their samples to 3 minutes as we are restricted by how much time we can spend on each application during the review process. With hundreds of applications to evaluate comprised of thousands of media samples we are obliged to limit the material we receive if we are to respond to the applicants within a reasonable timeframe. We encourage you to cut or edit your content into a 3-minute segment to ensure that it be properly reviewed. If your media is longer than 3 minutes there is a risk that it will not be completely evaluated. We know that this restriction is not ideal for everyone and we regret the inconvenience. Q: I have a text I want to submit that is longer than 5 pages / My portfolio is in PDF format but is longer than 5 pages. As with video and sound files we are limited by the amount of content we are able to review. The PDF option is available so that applicants can offer text or specially formatted material. If you have a long text to submit, please upload it in sections. PDF documents longer than 5 pages will not be reviewed in full. We know that this restriction is not ideal for everyone and we regret the inconvenience. Q: My work is not presented in English. We accept media samples (video, photos, visual art works) in any language, but the review panel will be conducted in English. If you are worried about communicating your ideas to the panel you may wish to translate these or a portion of these for submission. Please ensure that all of the form questions are answered in English. Of course, we actively solicit applicants from all over the world and are pleased to see material in different languages, but our capacity to review such material may be limited. Q: I am waiting for some last minute video material to arrive; can I submit it after the deadline? No, all media must be submitted online through the SlideRoom portal by the application deadline. Once the portal is closed no further adjustment of your application will be possible. Q: I have a lot of material on my website. Can I link to it? We have a section on our forms for you to provide your website information if you so choose. The panel may visit your website should they require further information, but it is not guaranteed, so please ensure that you upload any material you wish to be reviewed directly into the SildeRoom portal in the MEDIA section. Q: Where do I upload my letters of recommendation? You don’t. At this time, we are only asking that you indicate the contact information for two individuals who may speak on your behalf. If the panel needs further information about an applicant, they may choose to contact the references provided. So, you are NOT asked to supply any letters of recommendation. No. Please make sure to submit your application as early as possible, ideally one week before the deadline, so as to avoid any potential problems. We do not accept late applications. Q: When are the Residencies announced? The acceptance/rejection notification will go out in late August/early September each year. The announcement is made public on our website and through the press in mid-November. The Artist Residency Program is open to national and international emerging artists 21+ years of age. A variety of disciplines are accepted including, but not limited to: visual arts, media/new genre, performance, architecture, film/video, literature, interdisciplinary arts, and music composition. Solo artists or collaborative groups (such as theatre or dance companies) are welcome to apply. Watermill Alumni are allowed to re-apply after a one year hiatus from the program. Alumni seeking residency must submit a complete application including recent work samples and current resume. Preference may be given to applicants who have not previously attended. A working knowledge of English is helpful for international artists, as an interpreter will not be provided. Q: How are residencies selected? Applications are reviewed by an in-house selection committee to review the project’s needs during the residency timeline, before being passed on to an external committee of arts professionals who will review the artistic merit of the project, and make the final selection. Q: If I am not accepted, will I receive a critique / explanation? Due to the large volume of applications, we are unable to give individual feedback on applications. We strongly encourage artists to reapply. Q: As an artist I have a carefully constructed identity / I prefer to use my stage name. We require that applicants furnish their legal details (name, date of birth, etc.) in our application. If you have an artistic name you might indicate that in the nickname field. There are several opportunities to explain your artistic identity within the application’s forms. Applications for the 2020 Summer Program will open December 2019. 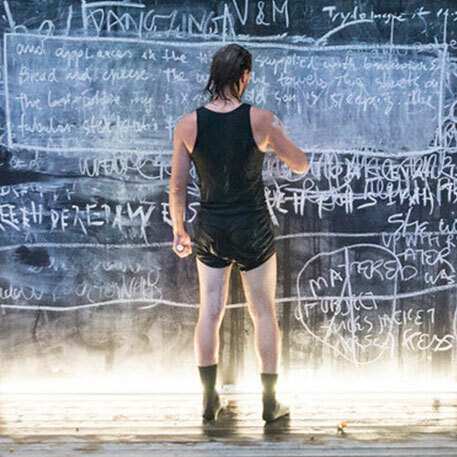 The 2019 Watermill Center International Summer Program will run from July 15 through August 18, 2019. Q: Do I have to be onsite for the entirety of the program? If accepted, you will be required to participate each day during the program for the dates indicated in your availability. We know that some people may have obligations during the summer so please make sure to indicate this on the application, but preference may be given to applicants who can ensure they will be present for the entire duration of the program. Brief time off is planned into the schedule, but is subject to the activities, events and workshops planned. Q: What activities are planned this year? The schedule and content of the program are constantly in development as we try to include as many varied and interesting opportunities as possible during the course of the program. Our 2017 program, for example, was comprised of more than 75 unique creative works and activities. Please check out the highlights from previous years. After breakfast, we meet as a group to go over the daily schedule, and assign roles for the day. We then all break off into groups and work until lunch. Following lunch, we go back to work until dinner. After dinner, everyone is free to hangout or return to their homes. Each day begins roughly around 8:30 AM with breakfast and ends around 9:30 PM after dinner. Daily activities include installation building, rehearsing performances, workshops with Robert Wilson, assisting with landscaping, and other odd jobs as needed. Q: I am an artist with a physical disability, how can I participate? While a large portion of the Summer Program does involve physical labor, we are committed to working with disabled artists to find ways involve them in the program. This can include assisting with costume and makeup design, doing research for workshops, as well as working closely with our staff on arts administration, meal prep, graphic design, video editing and more. Please email info@watermillcenter.org with any questions and to discuss how you can get involved! Q: What are the workshops with Robert Wilson? Each summer, Bob begins researching and developing upcoming theatre, opera, design, and exhibition projects. Participants are given the opportunity to join these workshops and assist with research and design, and participate in staging of future productions. These workshops grant artists the chance to observe and partake in the methodologies of Robert Wilson, and work closely alongside his international collaborators. Q: How much does participation in the Summer Program cost? Since 2008, the tuition for each International Summer Program participant has been provided in full by the Byrd Hoffman Watermill Foundation. The Foundation spends approximately $8,000 on each artist, which covers housing, food, local transportation, materials needed for work in the program, and the operating cost of the facility. The Foundation raises these funds through sponsorships from foundations, as well as individual benefactors who support the mission of The Center by joining the Watermill Mentor Program. Participants are required to pay the costs of their own travel to New York and to The Watermill Center. 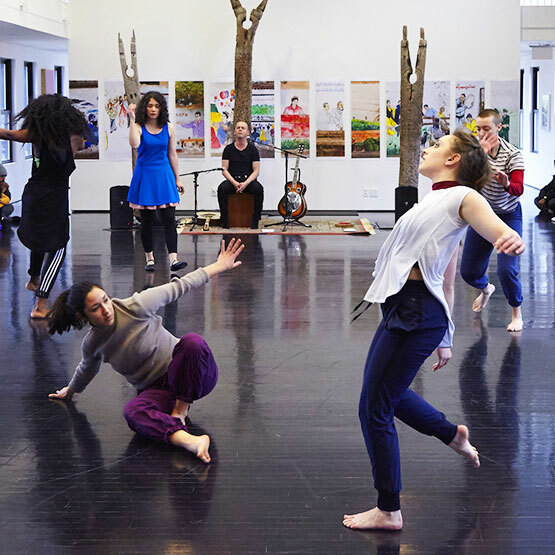 The Watermill Center does not cover the cost of personal use items, and participants are encouraged to find individual funding, if needed, through scholarships, foundations, and grants. All participants are lodged in shared rooms either in The Center’s dormitory or in rented summerhouses. On average, there are generally 15 artists in a house, with 2-3 per bedroom. Vehicles are provided for transport to and from The Center within the Hamptons area. It is recommended that you have a driver’s license, though it is not required. We will ensure that each house has a handful of drivers to bring you to/from The Center each day. Yes. Lunch and dinner are prepared by a trained chef, and a continental breakfast is provided. Sundays, just breakfast and lunch are provided, and participants are given a modest stipend for dinner. Q: Will there be any opportunity to present my work? Yes. Artists are welcome to propose installation and performance ideas for both our Annual Summer Benefit and our open house, Discover Watermill Day. Please note that proposals are subject to review by Robert Wilson and our curators. Not all proposals are accepted. Artists are also able to show their work on select evenings during short, informal presentations to the staff and other summer participants. We also give the option for artists to teach a morning class on the subject of their choice, which is a great chance to provide your fellow artists a hands-on approach to your practice. Q: I have a specific project I want to develop, will I be able to during the Summer Program? No, outside of installations and performances for the Summer Benefit and Discover Watermill Day, there will be no additional opportunities to develop your work. The schedule during the Summer Program is demanding and rigorous, and you will unlikely have much downtime outside of communal activities. Q: If my proposal isn’t accepted for The Summer Benefit, what will I do? All artists, whether or not their work is selected for exhibition, will be involved in the development of accepted proposals, either in construction, design or performance, as well as assisting with landscaping, meal preparation, etc. Q: If I’m a US citizen, do I need to give my passport number? No. If you are a US citizen or a US resident, we are able to waive the passport requirement because you are already in the US. However you will be required to furnish some form of legal state identification such as a driver’s license. In this case, please indicate the type of identification in the passport field as well as its number. Include the ID’s date of expiration in the passport expiration field. Q: I don’t have a passport number or I won’t have my renewal until after the application deadline. We require that international applicants have a passport to avoid difficulties should they be accepted. If you are not able to furnish your passport number at the time of submission, please indicate in the passport number field that you will send it in by email at a later date. However, we will not be able to begin reviewing your application until we have received your valid passport number. Once the acceptance letters are sent out, applicants who are accepted are required to confirm their participation within two weeks of the offer. If you don’t have a passport at that time, you will be blocking a space for another eligible applicant. For this reason, we require applicants to have a valid passport before their application will be reviewed. Q: I am a multi-disciplinary artist; which of my samples should I send? Make sure you submit samples that show off your work in the best way possible. That doesn’t mean that your material has to look professionally produced, but endeavor to send samples that are easy to understand and visually clear. A strong, concise description of the work will also help in our understanding of your submitted material. Q: I have too much I want to show, how can I choose? Choosing is the hard part, but also intrinsic to the artistic process. Send us your best samples. If you have a website, be sure to include that on the application as we may visit that if we need more information. restriction is not ideal for everyone and we regret the inconvenience. Q: What do you mean by “no aggregates” for a PDF? Each PDF should display a single work, project, or series. This can include multiple images, text, etc. A single PDF should not reference more than one work. Q: When will we be notified if we were accepted? You can expect to hear from the committee by mid-April via email. We know that everyone is eager to make plans, so please know that we do our best to review materials in a timely fashion. Applicants may be contacted for additional information after they have submitted their application. If you have any other questions that are not explained in the application materials, please email info@watermillcenter.org. Q:How are artists selected to participate in the Summer Program? A selection committee, including Robert Wilson, chooses the Summer Program participants. Participants are selected based on their artistic abilities and objectives, achievements, and creative potential, as well as how they might be served by, and contribute to, the Summer Program at Watermill. Selection is also determined based on the needs of the particular year’s workshops and activities, the need to maintain a diverse group of participants from varying disciplines, countries, and professional and artistic backgrounds, while aiming to ensure a balance between new and returning participants. Q: Who is typically admitted to the Summer Program? Each year differs, but in general we select a large proportion of performers, dancers, actors and performance artists. We complement the group by inviting a select number of directors, sound designers and composers, set designers and architects, industrial designers, costume designers, lighting designers, dramaturges and writers, carpenters, landscape gardeners, photographers and video makers, stage managers, carpenters, archivists, and arts administrators. Artists from all disciplines and backgrounds are welcome to apply. Q: Is there an age limit? What is the average age of participants? Any artist over eighteen years old is welcome to apply. On average, artists tend to fall between 20-40 years old. Q: Can our theatre/dance company or artistic collective apply as a group? The International Summer Program is not designed for group applications. Group members are encouraged to each submit their own application, which will be reviewed individually. We cannot guarantee that if one of your group were to be accepted that the other members of your group would also be accepted. The Watermill Center’s Artist Residency Program, which operates from September-June, caters well to groups. Please see our website for additional information. Q: I indicated my availability for an assistantship. If selected for an assistantship, will it limit my access to the program? Yes and no. We are happy that we are able to offer these opportunities in order to offer more access to the program. If you are selected to fill one of these roles, you will be tasked with specific and dedicated responsibilities, which may mean you are not able to participate in every aspect of the program. Assistants will be granted unique access to the inner-workings of Watermill, the staff and will also be deeply integrated into the program itself.